Tourist attractions in Idukki are so many. The question always is which ones are the best, especially when time is so limited. Idukki, one of the top destinations in Kerala, is where nature creates spectacles with beauty and altitude. Let it be forests, waterfalls, dams, wildlife sanctuaries, hill stations or spice gardens, Idukki has enough in store to surprise anyone. While the following are the major tourist attractions in Idukki, there are plenty of local spots that are charming yet not well known. 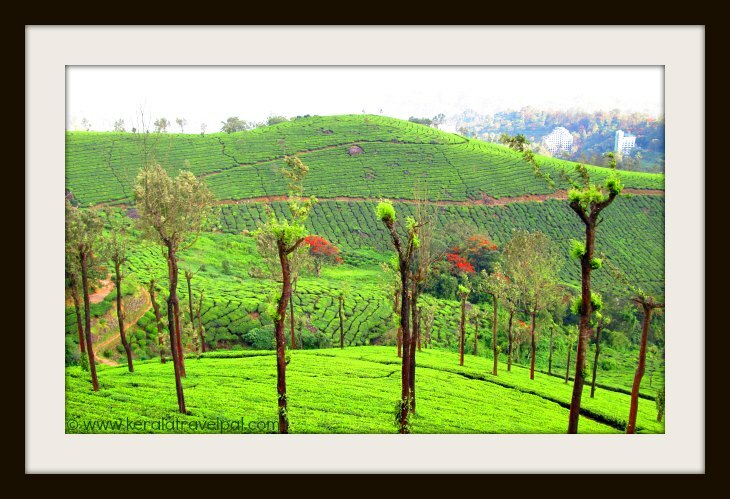 Munnar is a hill station town, amidst bright tea gardens, misty valleys, and clusters of green hills. One of the finest hill stations in India, it is among the most popular holiday destinations of Kerala. The restful resort town is a great getaway spot by its own. Waterfalls, wildlife sanctuaries and scenic spots located around town are that many to make it a traveller’s dream. Together they turn restful Munnar holidays quite eventful as well. Ideal for honey moon tours, sightseeing and plain idling, Munnar has also proved to be great for adventure activities. The contours and inclines of local landscape have already become a hot bed of adventure tourism. Munnar is located about 133 kms from Cochin. The Tea Museum is for cuppa lovers or for those who are curious about the development of tea in Munnar area. Located at Nallathani Tea Estate of Tata Tea Company, it showcases pictures and antiques, all related to Tea. The Museum is located in the tea garden town of Munnar. Peermade (also Peerumedu, Peerumade) is calming, cool, away from the crowds and near the clouds. So it is a perfect choice for a short break or even a few relaxing days. The hill station is located along Thekkady to Kottayam road amidst a cluster of hills that guard plantations of tea, coffee, cardamom, vanilla and rubber. Eucalyptus and Pine woodlands, pastures, rocks, and cascades have taken over the rest of the misty landscape. No wonder it was once the summer getaway of the Kings. Travancore rulers even built a summer residence here. The heritage structure, converted to a Tourist Bungalow, now offers accommodation to visitors. Tourism Department manages it. Peerumedu got its name from Peer Mohamed, a Sufi saint and a friend of the Travancore royalty. He lived here in the 13th century. His burial chamber is in the nearby Peeru hills. Similar to most Kerala hill stations, sightseeing and nature walks are the usual activities. Many visitors also take up cycling, trekking, horse riding and even golf. Getting to local tribal settlements, enjoying sun rises and sun sets from Thrishanku hill, visiting neighbouring Peeru hill are other possibilities. 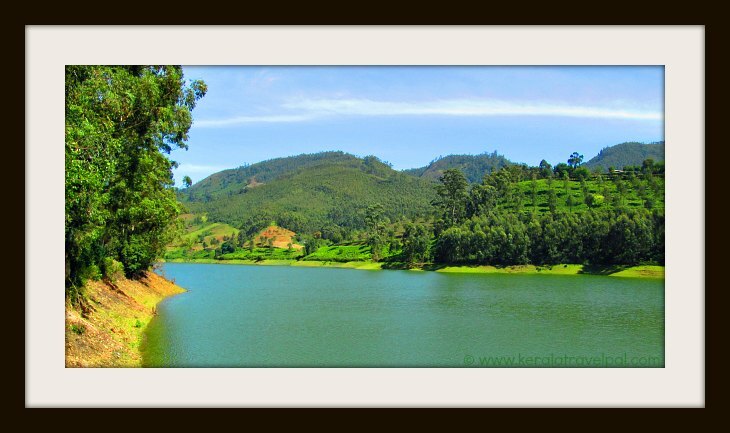 A lake, a dam and a cattle station are the attractions of Mattuppetty, the scenic picnic spot 13 kms from Munnar town. A trip to Mattupetti is more desirable because of attractive spots such as Kundala tea gardens and Kundala Lake along the route. Mattuppetty dam, a hit sightseeing spot, attracts plenty of visitors. The reservoir is great for boat rides. Boats are available for hire. The dairy farm is an Indo-Swiss project aimed at rearing high yielding varieties of cows. Going in full steam, the facility rears well over an impressive 100 varieties of specialised cattle. Visitors are permitted inside only between 09:00 -1100 AM and 2:00 -3:30 PM. The neighbouring landscape, picturesque Kundala, is well known for its trekking trails. A mountain path winds up through plantations of tea, coffee and cardamom to the altitudes of Grampi. Views from the top are simply spectacular and the place is aptly called Eagle Rock (Parunthupara) by the locals. Grampi is located 5 kms from Peerumedu. Have you heard of a plant that blossoms only once in 12 years? The terrains of Top Station are filled with Strobilanthus. Locally called Neelakurinji, the rare plant blossomed in 2006. The next bloom of the blue flowers is expected to be in 2018. Top Station is a hill station picnic spot located along Kodaikanal road about 32 kms from Munnar. At 1700 m above the sea level, panoramic views extending even to distant areas of Tamil Nadu. It is the highest spot in the vicinity and hence named Top Station. Good looks alone take it to the category of famous Kerala hill stations. Distinct for its steep terrains that reverberate sound, Echo Point is also a scenic spot great for treks and nature walks. It is located 15 kms along Munnar – Top Station route, at an altitude of 6000 ft. The main attraction of Eravikulam National Park is Nilgiri Tahr, an endangered species of mountain goat. The park is home to about one third of the remaining population worldwide. So their protection is a serious initiative and hence the 97 sq. Kms of the park is divided into three zones. Tourists are permitted in the Tourism zone while the other two zones – core and buffer- are left undisturbed. The goats are not shy of tourists and even come very close to a touchable distance. Strobilanthus (neelakurinji), the rare plant that flowers once in a decade, grows in abundance within the park territory. Anamudi, the tallest mountain in South India, is a part of the sanctuary. It peaks over the park’s southern border. The giant hill is an Idukki tourist attraction that is a hit with trekkers. Eravikulam park remains closed during the months of January and February, being the calving season of the goats. Eravikulam National Park is located 15 kms from Munnar. The curved dam across Periyar River is one of the popular tourist attractions in Idukki. It is a dam of distinctions – one of India’s tallest dams, Asia’s first arch dam and world’s second arch dam. Idukki Arch Dam was built by State’s Electricity Board for power generation. They also built two other dams in the vicinity. Together the three dams create a reservoir of 60 sq kms, big enough to be considered as an artificial lake. Idukki wildlife sanctuary is located along this waterfront. A visit to Marayoor blends a bit of archaeological interest to holidays in Idukki. 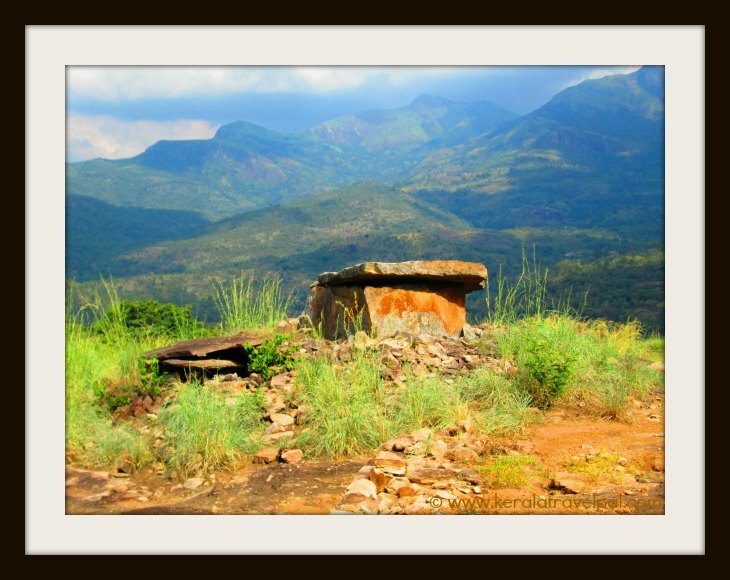 Ancient burial chambers or dolmens of Marayoor that dates back to the Stone Age are interesting tourist attractions in Idukki district. Equally interesting is the cave paintings at Ezhuthupara. The wall paintings are thousands of years old and rare. The site within the forest area is under the vigil of the Archaeological Department. Marayoor is also famous for its sandal wood trees. About 60,000 trees create a sandal wood forest that spread around 95 sq. Kms. The sandal wood processing plant run by the Forest Department allows visitors in. Forest walks require permission from the Forest Department. Marayoor is located on Munnar – Udamelpetta road, about 40 kms from Munnar. The pristine location with a cluster of hills and a lake in the middle is located 12 kms from Munnar. As per legends, Goddess Sita took bath here. So the lake is named Sita Devi Lake meaning Goddess Sita Lake. Water of the lake is considered medicinal. If you fancy fishing at the heights of a hill station, well, Devikulam Lake is a great choice around. Spreading along the banks of Idukki Dam reservoir, this reserve is home to a range of species such as elephant, deer, boar, bison, cobra and giant squirrel and diverse birds and snakes. The sanctuary is surrounded on three sides by the lake of Idukki Dam. Water attracts elephant herds and other animals, which can be viewd from the lake. Occupying about 77 sq kms, this sanctuary is smaller compared to other sanctuaries such as Chinnar and Periyar. Located in a region of heavy rainfall, plant and animal life thrives in the dense forests of the sanctuary. The nearest major town is Thodupuzha at 40 kms. Located adjacent to Idukki Arch Dam, the Hill View Park is a scenic spot with a twist- a vantage point for sighting elephants. The park atop a hill has a mini lake great for boating. Boats are available for tourists. The park also has a herbal garden and a children’s area. Chinnar Wildlife Sanctuary is located in a rain shadow region. Thorny vegetation distinguishes Chinnar from other Kerala Wildlife Sanctuaries. Chinnar is rich in animal life. The 34 species of mammal inhabitants include elephants, panthers, tigers, bisons, deer and varieties of monkeys. A commendable 245 species of birds in addition to 52 species of reptiles are seen here. Chinnar protects globally threatened and rare species. Grizzled giant squirrel, Nilgiri Tahr and Star Tortoise contribute in turning Chinnar into one of the major Idukki tourist attractions. Thoovanam waterfall is located within Chinnar Sanctuary.Treks to the waterfall start from Karimutty Forest Station and requires the help of local guides. The sanctuary extends on either side of Munnar to Udumalpet road. Marayoor, famous for sandal forest, Stone Age burial chambers and ancient cave paintings are along this road, further from the sanctuary. Chinnar is about 60 kms from Munnar. The hills of Idukki may be ‘rain’s own country’, when we think about the amount of rain falling there. Violent downpour morphed into streams and cascades sparkle amidst mountainsides of verdant greens. Waterfalls are in plenty. Major ones are Attukal, Chellarkoil, Nyayamkadu, Power House, Rainbow, Thommankuthu, Thoovanam, Cheeyappara and Valara Water falls. For waterfall fans holidays in Idukki can be a busy affair.